Where can you find water, mud, dirt and…..pumpkins? Kalamazoo Area Runners (KAR) is pleased to present the 2016 Jack-O’-Lantern 5k and 10k Trail Run. Discover a unique and challenging varied terrain trail running experience where nature’s attributes combine with holiday-themed fun. The 2016 Kalamazoo Area Runners (KAR) Jack-O’-Lantern 5k and 10k Trail Run and Kids’ Pumpkin Patch Trick-or-Treat 1/2 mile and 1 mile Fun Run (children 12 and under) is a showcase of the Bishops Bog Preserve and Eliason Nature Reserve in Portage Michigan. Both the 5k and 10k and are capped at 300 participants each. The 10k Run is a flat, loop course of varied terrain that includes two parks, paved and natural wooded trails (some single track or footpaths), floating and stationary superdeck, fields and a small stretch of road. The course surfaces may include some or all of the following: uneven footing, water, mud, brush, downed trees and branches, tall grass, roots, stones and other naturally occurring obstructions and challenges. Due to increased risk of injury, runners must be at least 16 to participate in the 10k. The gentler 5k run is an out-and-back course of paved and natural trails with opposing runners on narrow trail. The course may also include uneven footing, mud, brush, tall grass, roots, stones and other obstructions naturally occurring in a trail run. Due to the terrain, narrow course, and varied surfaces, no bicycles, dogs, strollers or cross country spikes are permitted in the 5k or 10k events. The Kids’ Pumpkin Patch Trick-or-Treat Fun Run is a one (1/2 mile) or two loops (1 mile) around the upper athletic fields and sports complex of South Westnedge Park. All events will be held Saturday, October 29, 2016 at South Westnedge Park, 9010 S Westnedge Ave, Portage, Michigan. The Kids’ Pumpkin Patch Trick-or-Treat Run starts at 11:00am in the upper athletic fields. The 5k Run starts at 8:30 and the 10k Run starts at 9:30am. Runners may participate in the 5k, 10k or both. The cost is $15 to participate in either the 5k or 10k, or $20 for both (no shirt), and $20 each (no shirt) for late/race-day registration or $25 for both. Long sleeve technical shirts may be purchased for an additional $25 to those who preregister by October 19, 2016. Men’s and women’s sizes are available for separate purchase here. A limited number of shirts will be available on a first come, first serve basis at packet pickup. 5:00 – 7:00 pm at the Portage YMCA A-Frame Building on Friday, October 28, 2016. 7:00 – 9:00am at South Westnedge Park on Saturday, October 29, 2016. Late/race-day registration will not be held for each respective event that attains its cap of 300 prior to online registration close. Long sleeve technical shirts may be purchased for an additional $25 to those who preregister by October 19, 2016. There is no cap for the Kids’ Pumpkin Patch Trick-or-Treat 1/2 mile and 1 mile runs and these are FREE of charge to the community. Runners may also make additional cash donations online through this registration. 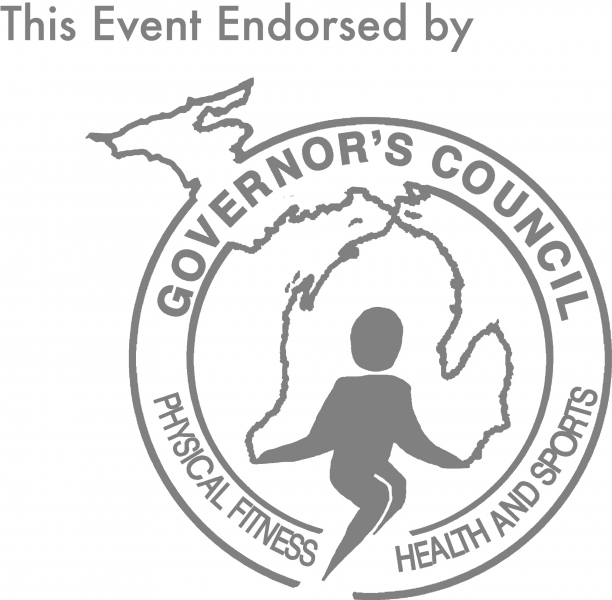 Proceeds from registrations and additional online donations will support the Jack-O’-Lantern 5k & 10k Trail Run, Kids’ Pumpkin Path Run and the Kalamazoo Area Runners (KAR). Please visit the KAR website (www.kalamazooarearunners.org) for additional information on this event. Awards to the overall male and female open, masters, grand masters and senior grand masters winners, five year age divisions. Children are encouraged to wear costumes! There will be a costume contest prior to the Kid’s Pumpkin Patch events, with an awards presentation at approximately 10:30am for the 5 best costumes.